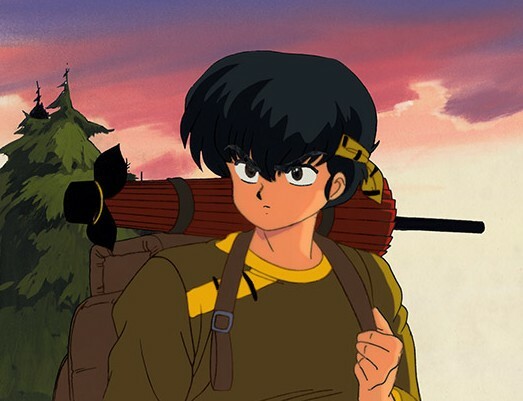 Ryoga is always lost somewhere, this time it just happens to be in the woods. There's a certain comfort in knowing that you're always lost. No matter which way you're going, it's wrong. 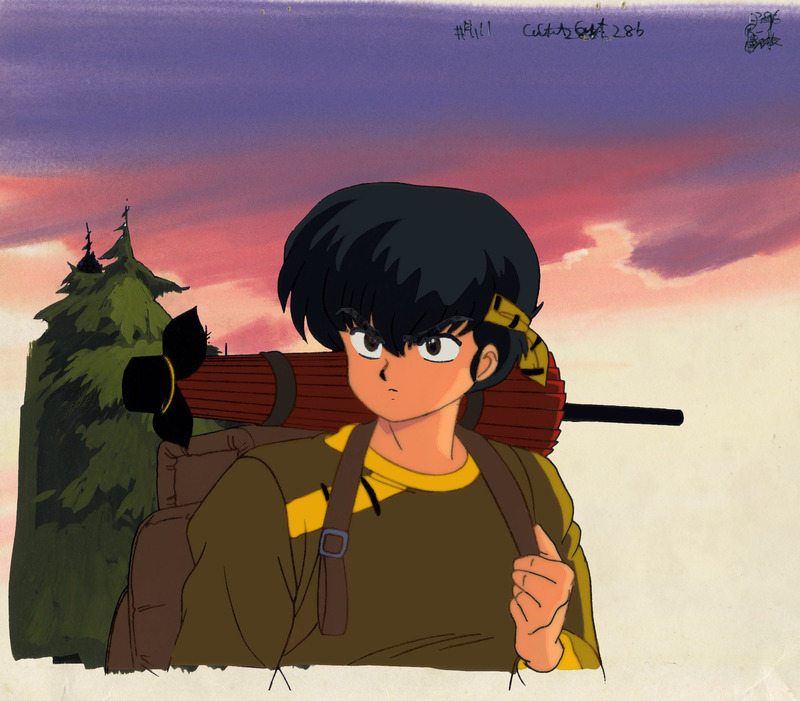 I snagged this cel because it's from quite early in the series, near Ryoga's first appearance. He's drawn in the detailed, more human-looking early-episode style and has all his paraphernalia (the backpack, the umbrella, etc. ).